В этом блоге вы найдете истории о прошлом и настоящем еврейской общины города Одесса (Украина), рассказанные учащимися школы ОРТ №94 в рамках проекта Всемирного ОРТ "Chibur". My family comes from Florence, Italy. My father comes from a long line of important Jews in Florence. His grandmother's father was Marco Treves (1814-1898) shown here as an old man. 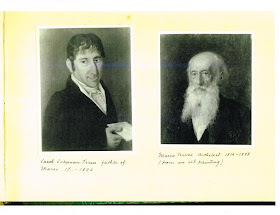 The picture to the left is his father as a young man who died in 1834. 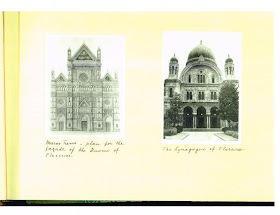 Marco was a reknowned architect who designed the main synagogue in Florence (see second picture on the right) in 1872 and previously in 1861 he placed second in the design competition to design the front facade for the Cathedral of Santa Maria Del Fiore (known in Italian as the duomo - main cathedral, second picture on the left). His design is also attached. He also designed the main Jewish cemetary in Florence where my grandfather (Marco's grandson) is buried. 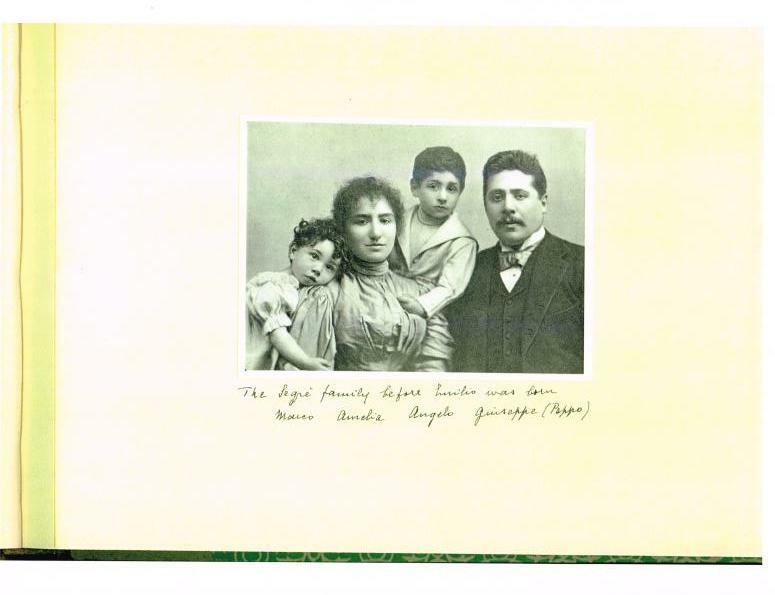 My great grandmother (Marco's daughter) Amelia, is shown here with her husband (Guiseppe also known as Peppo) and the first two boys. My grandfather, Angelo and his younger brother Marco. Emilio, the baby wasn't yet born. Amelia and Guiseppe lived in Rome until October 1943 when there names appeared on a list of those to be gathered by German SS troops. A sympathetic Italian employee of the Germans called to warn them to leave immediately. Their chauffeur was waiting to drive them away. Already in the car Amelia realized that she had forgotten her pearls. These were important as a way of trading a pearl for a necessity (food, shelter, clothing, etc). As she was coming back out of the house, the SS arrived and seized her. Guiseppe had his hand on the door, but the quick-thinking chaffeur drove away quickly, leaving her. They were told that Amelia, aged 76, perished on the way to a camp. Guissepe was hidden in a convent until the Nazis were driven out of Rome but died soon after of natural causes. Amelia and Guiseppe owned a paper mill outside of town (Florence) that they sold to the foreman (a non-Jew for a lire less than a dollar) before the war to have him watch over it for them. After the war, he sold it back to them for the same price. Thus they were able to keep much of the family wealth without having it confiscated by the Nazis. When my grandfather, Angelo, shown above as a 5 year old, left Italy for the US in May 1939 to escape with my Grandmother (Katya) and their two children, Guiseppe aged 7 and my father Gino aged 7 months. They converted their liquid assets into easy to carry valuables -- gem stones (diamonds, sapphires) and gold coins. When they got to the US, they cashed these in whenever they needed money. At the end of the war, they still had some left. My father gave me and my sisters each one of the gold coins. I set mine in a gold locket with 6 small diamonds forming a Jewish star. I wear it and think of them and all that it cost my family to have me inherit this piece of my heritage. 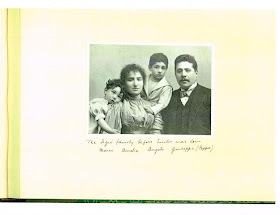 Amelia and Guiseppe's third (youngest) son was Emilio Segre who went on to fame, winning the Nobel Prize in Physics. 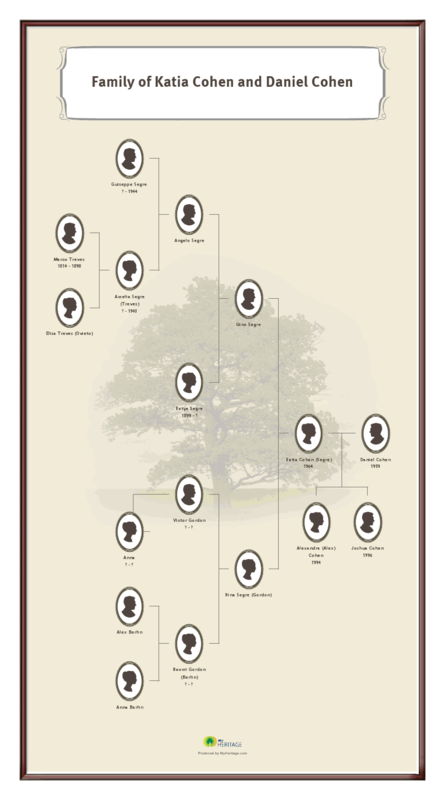 The three brothers had many sons between them -- all of whom became physicists as well. 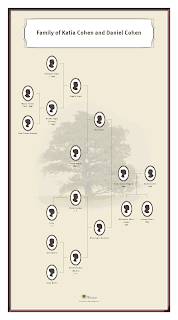 And in fact even my cousin is a physict -- a third generation. I am not a physicist or even a scientist, but I married a man who is the son of a physicist.